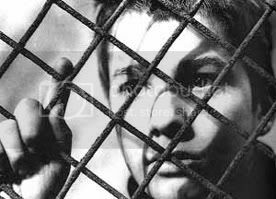 Tonight I saw the Truffaut film The 400 Blows. It was very good indeed. It's not paced like many films today, so took a while to get into. Even though I was enjoying it for the first twenty minutes I was still thinking of other things I could be doing instead, but then suddenly I was completely into the story and let it wash over me. The boy in it was superb, and it was funny and moving and French.